Ojoin is said to have been the place in which the High Priest Gyoki of the Nara period was cremated. 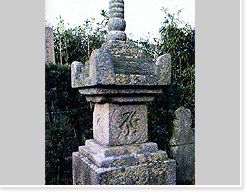 The Hokyointo, a variety of Japanese Pagoda, is dated to 1259 by inscription and is the oldest in Nara Prefecture. Approx. 0.9km (10min. walk) Northwest of Kintetsu Minamiikoma Station.